Radford University resurfaced 12 of its tennis courts with SportMaster resurfacing materials just in time for the start of the Fall 2018 semester. 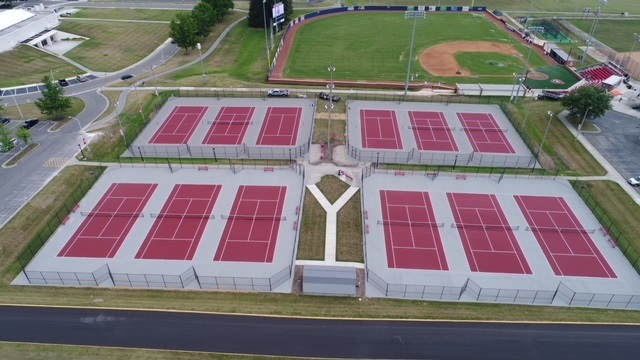 Contractor Tennis Courts Inc., of Aylett, Virginia, was awarded the contract and performed the work in two phases, completing six courts in April and six courts in July. SportMaster representative Richard Benson says, “Radford University chose to adopt the International Tennis Federation rating system in selecting the finish for its courts. Six courts are now rated as ITF #3 for medium speed of play while the other six courts are rated as ITF #4 medium-fast.” Radford University features men’s and women’s tennis programs known for attracting international students from such countries as Italy, Russia, Australia and others.